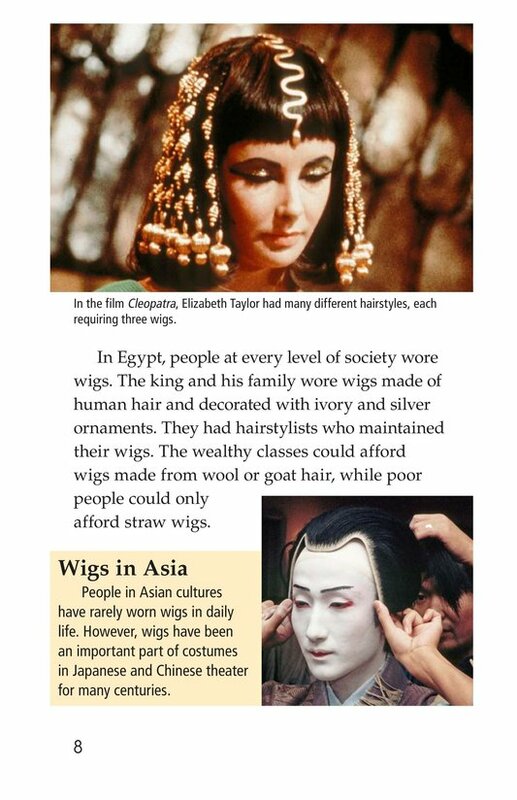 From ancient Egyptian culture to modern civilization, wigs have played an important role in history. 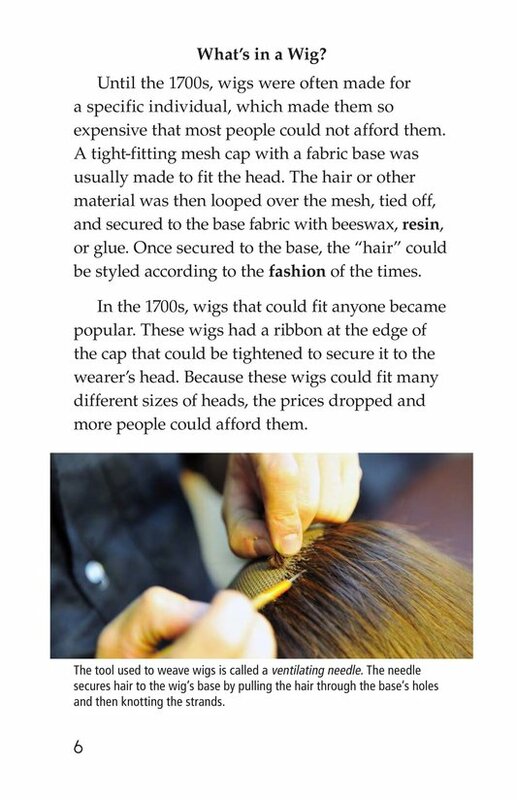 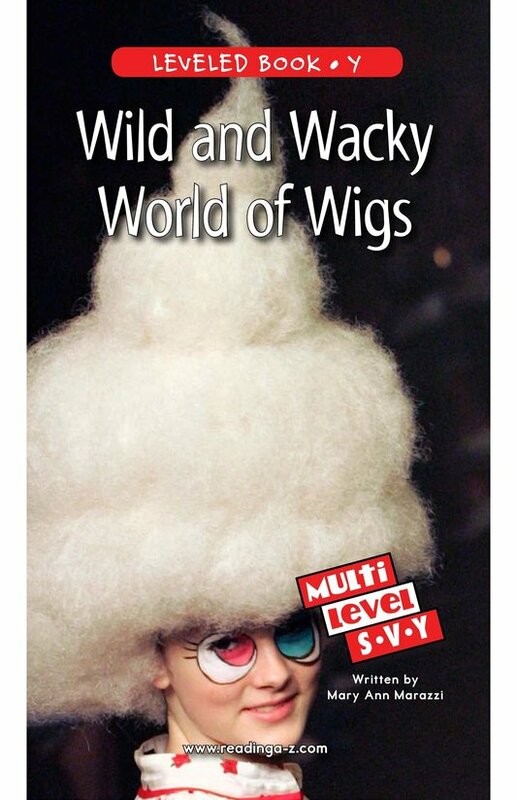 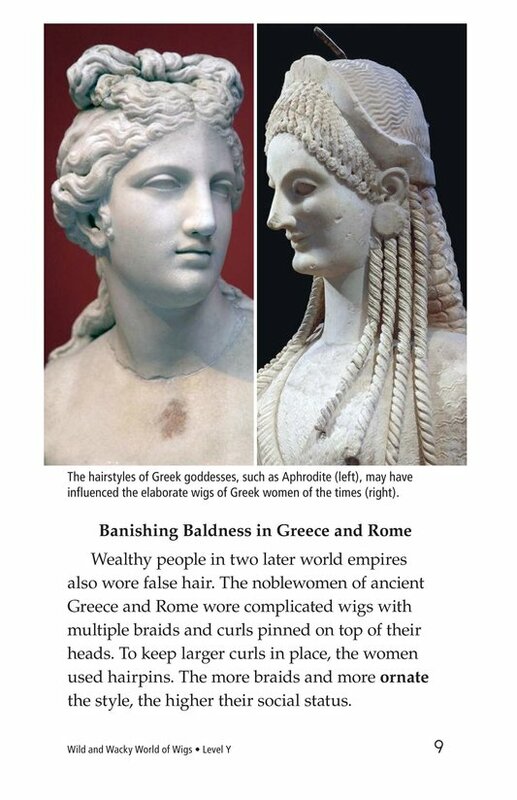 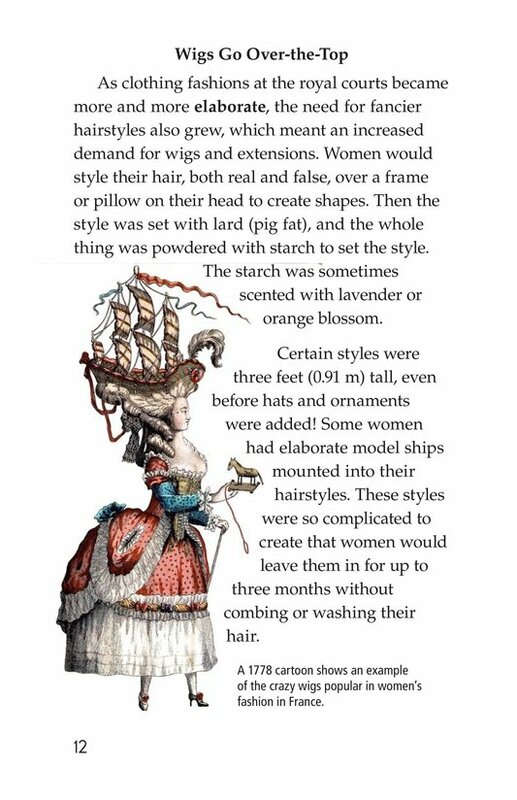 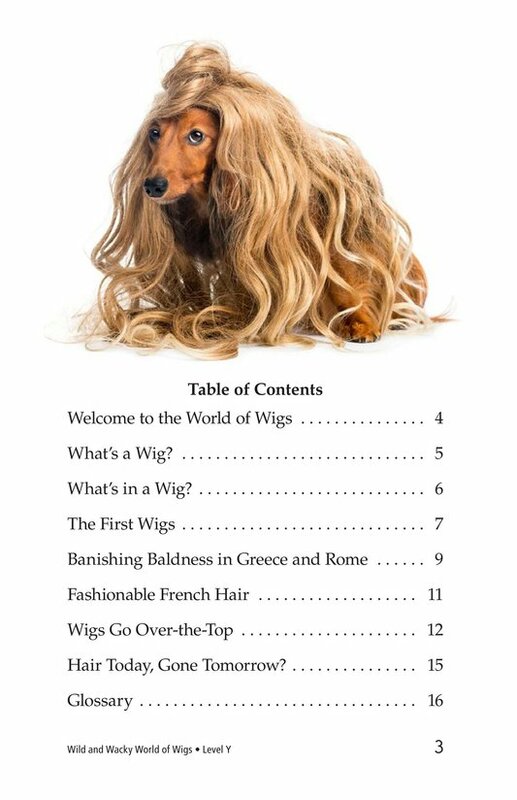 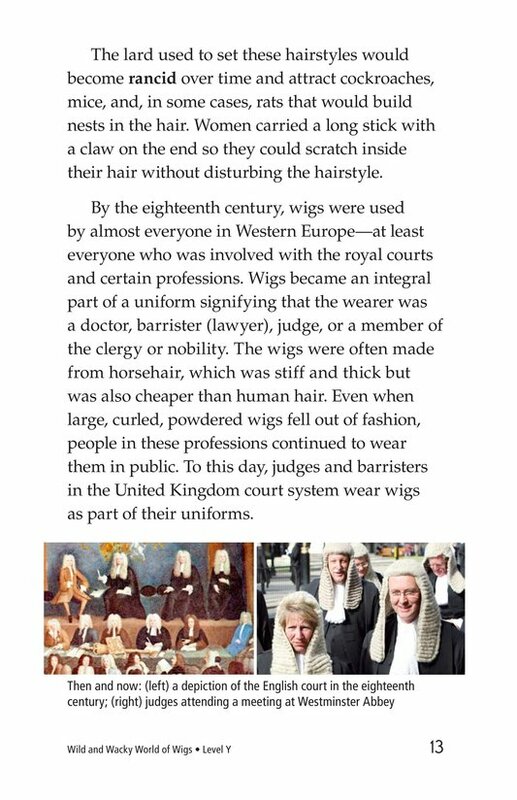 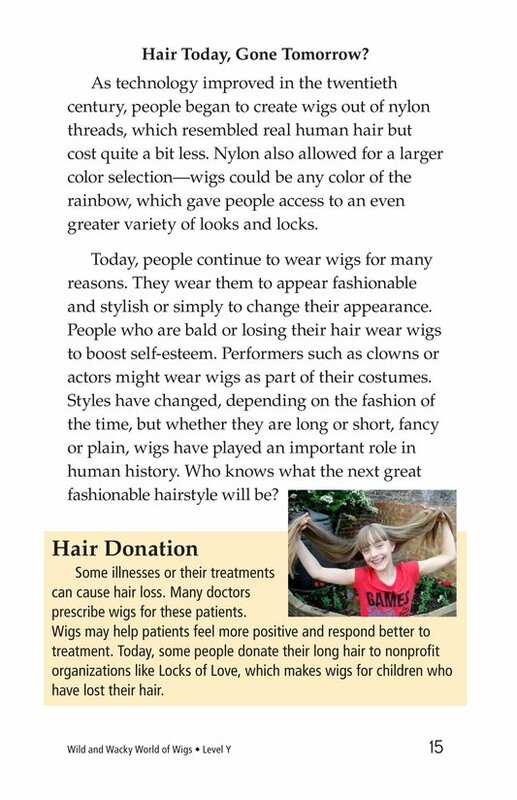 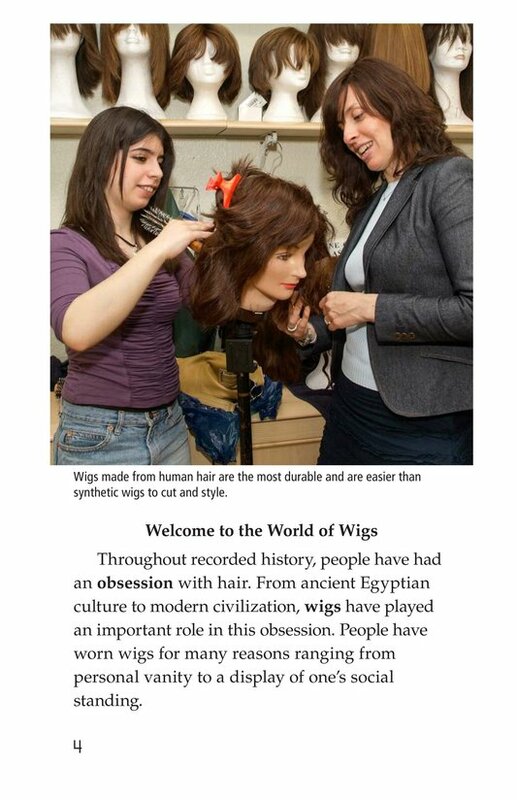 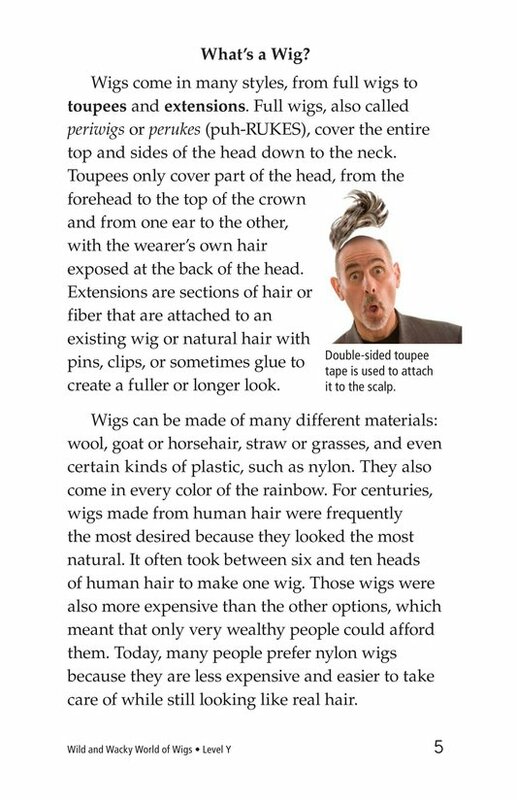 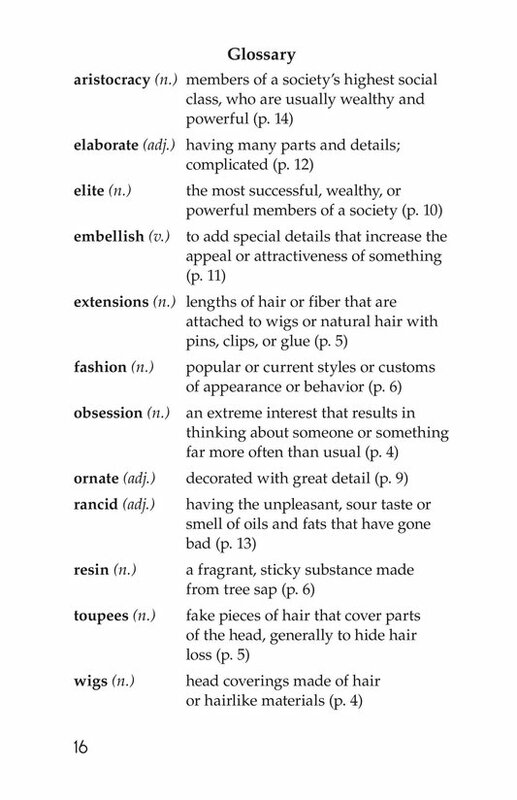 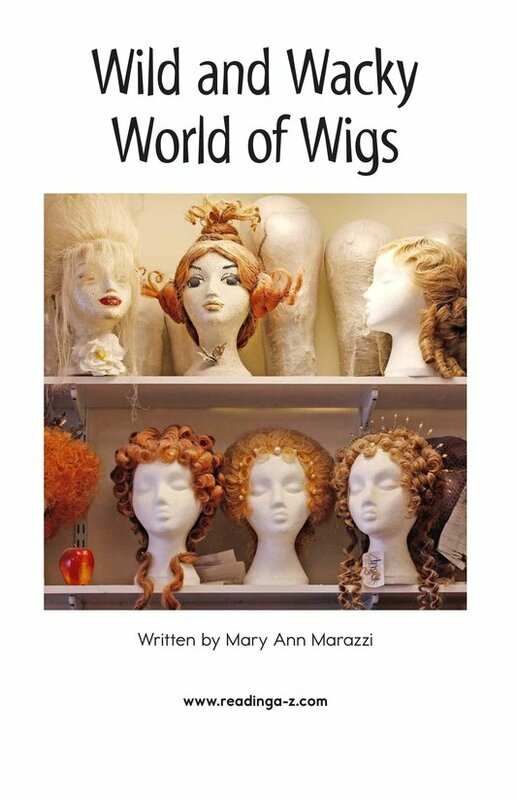 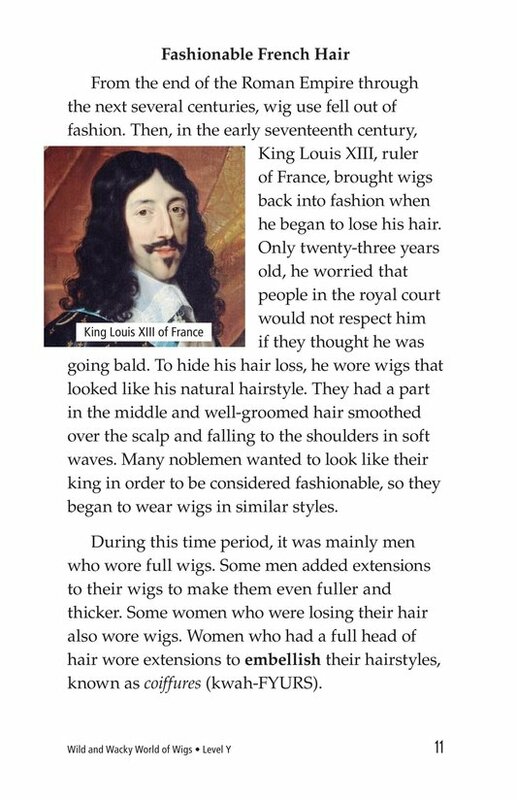 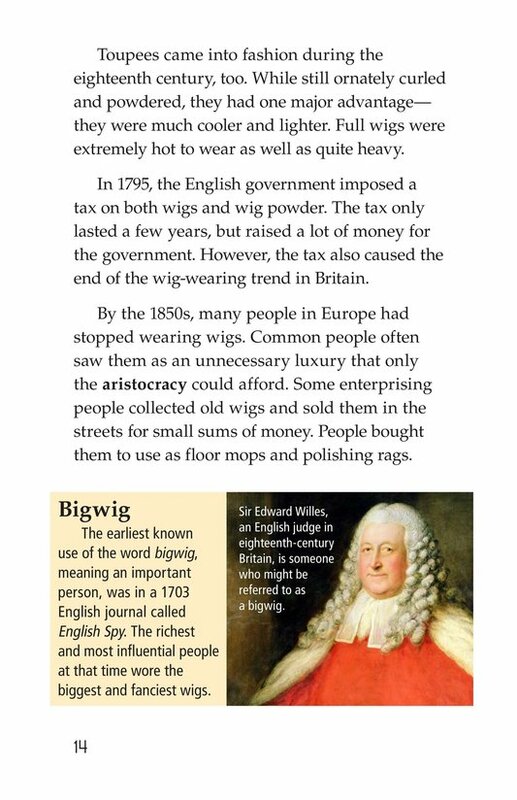 In Wild and Wacky World of Wigs readers learn about the fascinating history of people's obsession with all things related to hair. 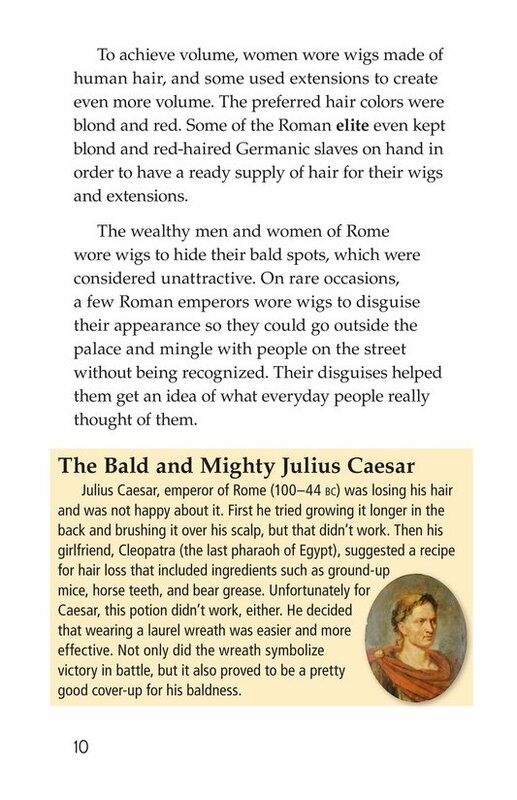 Students will be informed and entertained by this engaging text. 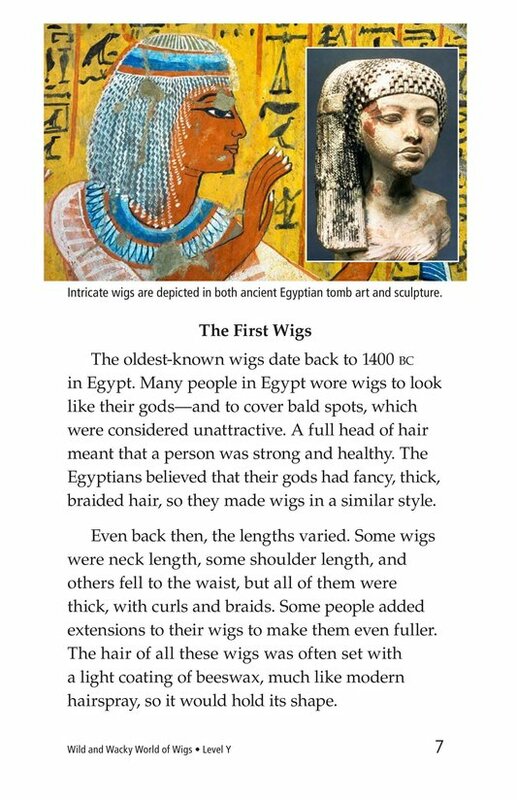 Detailed photographs, illustrations, and text features support student learning. 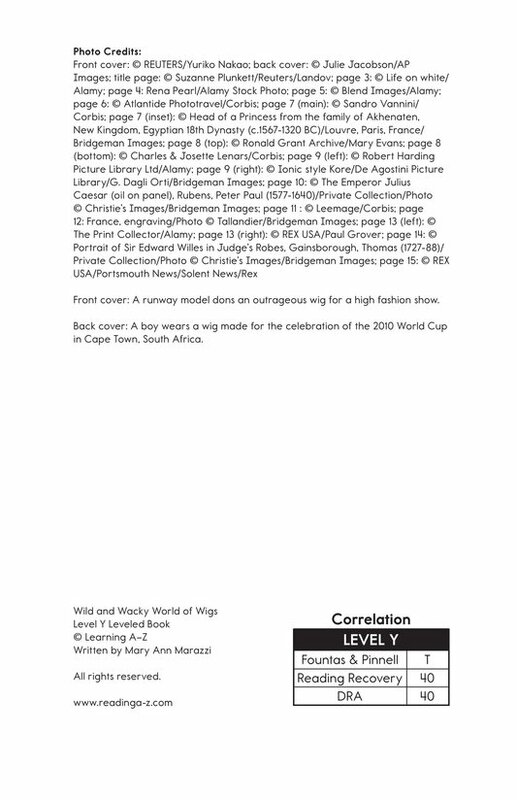 This book and lesson are also available at Levels S and V.